On the basis of our long-time experience from racing circuits all over Europe we have developed our own version of BMW M3 E92 cars focused on reaching the best possible lap times. These are carefully tuned cars that passed strenuous testing and their abilities are documented by reached lap times. We have currently prepared a couple of Mirage GTS and Mirage GTR cars, which we are ready to tailor according to the intended use. On the basis of the exclusive BMW M3 GTS we have developed a car that reached a lap time of 7:28 at Nürburgring Nordschleife, using Michelin Pilot Sport Cup tyres (Sport Auto version). This lap time is by whole 20 seconds faster than in the case of the standard BMW M3 GTS model. Considering the exclusivity of this car, we have only made modifications of the chassis, which underwent tuning and complete redesign by a Nordschleife specialist – Tom Schirmer. Chassis kinematics has been completely changed, the car is equipped with Nitron shock absorbers and we use three-piece BBS wheels with 18 inches diameter. Soon, we have developed our own precisely according to our needs. The engine with 450 HP together with the eight-speed gearbox remained unchanged, only Akrapovič exhaust system has been modified. Positive reactions to the abilities of our prime Mirage GTS model have convinced us to build the second Mirage model. 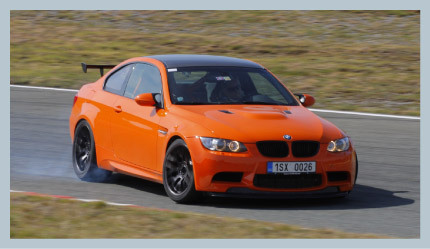 On the basis of the standard BMW M3 E92 we have developed Mirage GTR car using advanced chassis solution derived from GTS model. In this case we have decided to modify the engine and the standard 4.0l V8 engine has been enlarged to 4.8 litres. 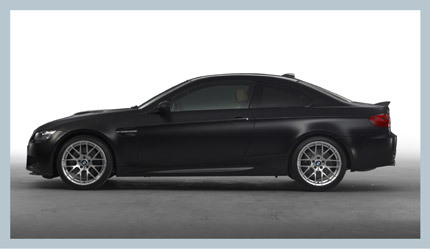 As a result, power increases from 420 to 530 HP.